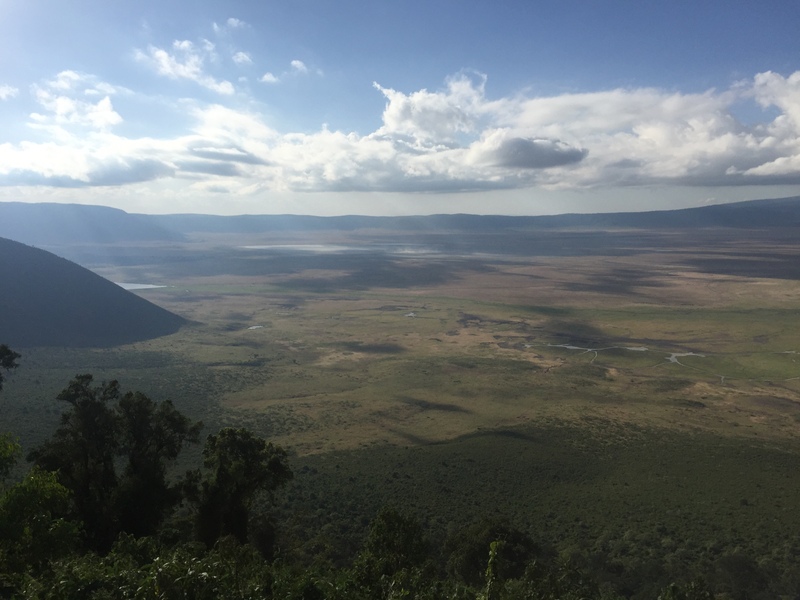 Our hardy, four-wheel drive Jeep jostled my sister and I around as we headed toward Ngorongoro Crater in Northern Tanzania. We had just stopped by at Mr. Macho’s, a quaint, little shop on the side of the road selling Tinga-Tinga paintings. We were delighted with my mom and dad’s selections and they were quite proud to have had an opportunity to test their hardly mediocre Swahili by saying “asante sana” to Mr. Macho! Our tour guide, Mr. Gerald from Good Earth Tours, led us on the Rift Valley Escarpment, a slightly treacherous, winding, pathway that would both give us a birds-eye view and lead us to our lodge overlooking the extinct volcano. We didn’t expect to see much flora and fauna lining the roads, considering we were hundreds of meters above the flat plains and a torrential downpour had just ceased, but we were wrong. Africa always seemed to surprise us in the best way. Thousands of cotton-candy pink flamingos lined the crystal clear, salt waters of Lake Manyara in the distance. Miles and miles of coffee, corn, and even pigeon pea plantations were followed by stretches of fiery red and orange hibiscus flowers that appeared to be glowing. Later, we found that the hibiscus juice we received as welcome drinks in the Sopa Lodge came from these flowers! After checking into the lodge, we headed down for our first peek at the sights and sounds of the crater, this time for a worm’s-eye view. As we descended, herds of zebra strutted across the narrow pathway, merely inches in front of us. Small baby zebras, decorated with fuzzy, brown stripes, scampered after their mothers, eager for the (hopefully) fresh, green delectable treat that awaited them on the other side. What these innocent little creatures didn’t know was that a pride of lions lurked in the shadows on the other side. Vultures and hyenas were also patiently waiting for their opportunity to feast. Following this scene of impending doom, we saw five chubby hippos sitting in a lump, huddling together, and relaxing in the cool water. We envied their location, as the mid-afternoon heat was getting the best of us too. 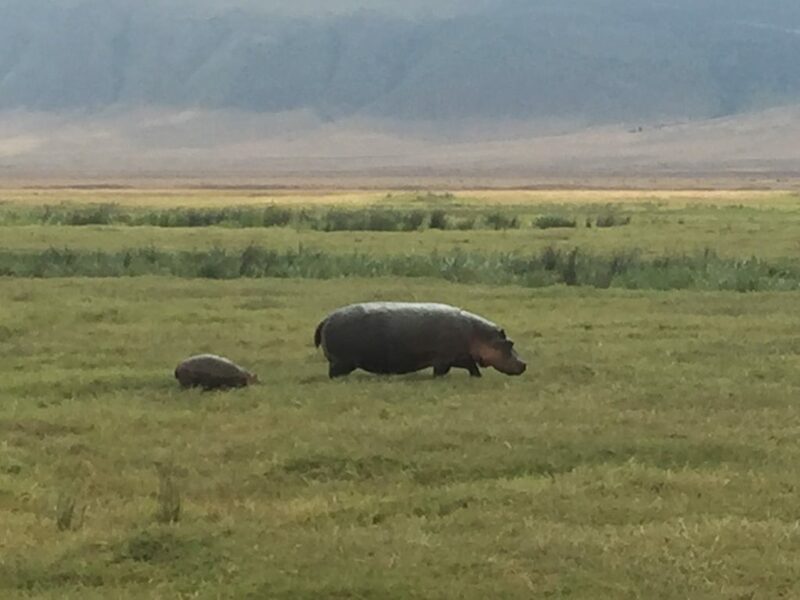 Then, one of the hippos yawned, opening his jaw to the fullest extent, exposing why everyone considers the “kiboko” one of the most dangerous animals. After seeing another pride of lions basking in the scorching, savannah sun, we wondered which one of the Big 5 would be in store for us next… it was the elusive, solitary rhino! Oxpeckers lined the coarse skin on his back, picking off any ticks and blood sores. 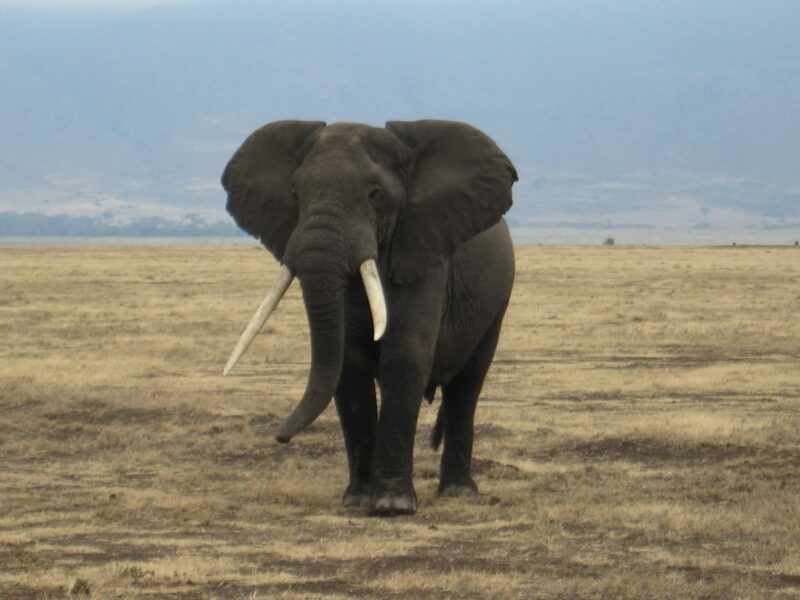 With the lion and rhino checked off our list, to our delight, we later saw our third member of the Big 5: the elephant. Dozens of Jeeps had made a stop to catch this large, friendly animal cross the road. We rounded out our day tour with a glimpse of the rare serval cat. He was slinking around in the tall grass parallel to the road, hunting for unsuspecting prairie mice. His long, bunny-like ears followed every intricate motion of the mice. 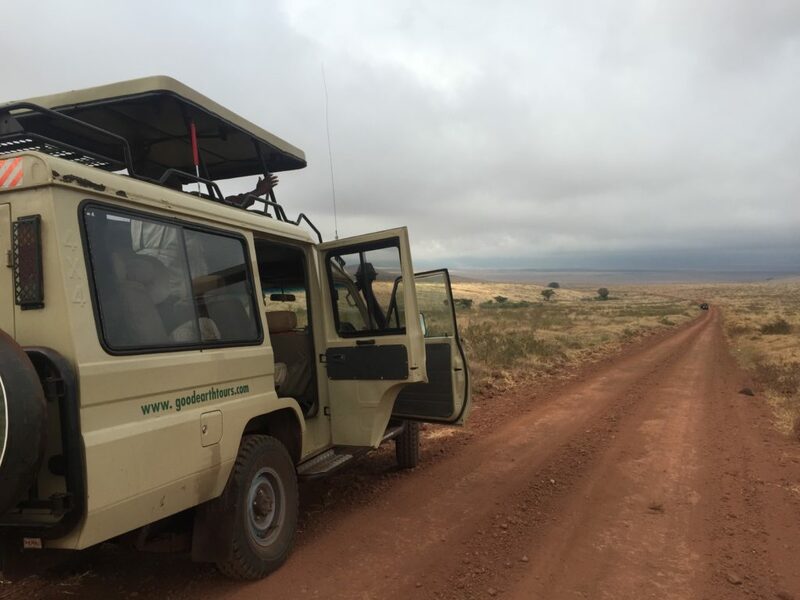 Heading back to the lodge, we thought our Ngorongoro experience had ended. After a delicious dinner, served by some of the most courteous waiters and waitresses, we stepped outside to look at the sky above. It was amazing!! What we saw changed our whole perspective: 360 degrees of vast, untouched sky embellished with millions of twinkling stars. And with that, Africa, once again, opened our eyes and gave us an experience unlike any other. How could we return home to New York after that?? ?